Daily film reviews, weekly features, and seasonal awards coverage from a film enthusiast. I’m thrilled to be attending and covering the Sundance Film Festival in Park City, Utah for the fifth time. I’m seeing as many movies as I can each day and will post reviews of each as I can. Robin Williams was an incredible performer, one who entertained so many and whose death by suicide at age 63 was met with such sadness by people around the world. 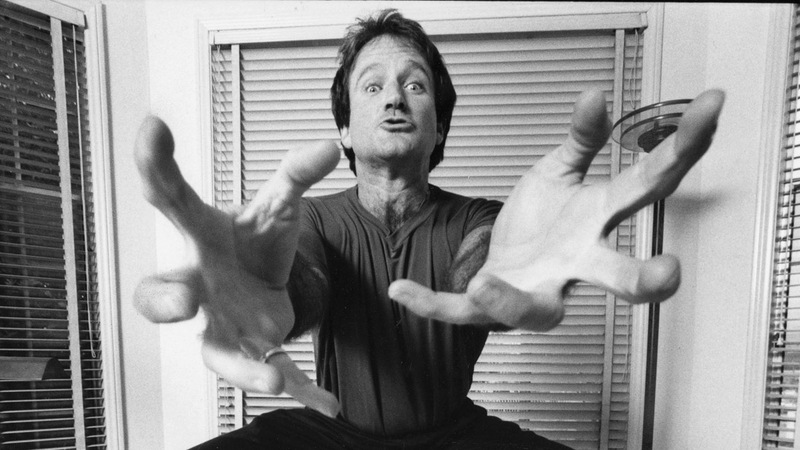 His early career in cinema began on television with “Mork and Mindy,” and from there he went on to be taken more seriously in films like “Good Morning, Vietnam,” and the one that won him an Academy Award, “Good Will Hunting.” Throughout his life, he was known for being funny on set, rarely staying in character throughout an entire shoot or act if he found an opportunity to make those around him laugh. This introduction sounds like a eulogy, and it’s certainly difficult to summarize Williams’ life and impact in just under two hours, let alone a paragraph. That’s what this documentary, from a director who has delved into California’s water system and Roman Polanski, does enormously effectively. It begins with Williams as a child, then a student, and then a stand-up comedian who could go for hours in front of an audience without holding any notes and with seemingly inexhaustible energy. The factors that led to his eventual suicide are also covered, with references to the way in which he would shut down and behave in private in between coming alive in every public moment. This should not be considered a comprehensive review of Williams’ contributions to film, since some of his most iconic roles, like “Mrs. Doubtfire,” are barely covered at all. Instead, this is about Williams the person and his effect on comedy, not so much the entire industry but more as a personal vehicle for everything funny. This reviewer’s favorite routine, which finds Williams explaining the absurdity of the invention of golf, isn’t featured, but there are countless other routines that show just how much Williams could keep going without losing any steam, reading the crowd and having a great time cracking everyone up. This film features some narration from Williams but chooses not to show him being interviewed in any of those moments, instead relying on clips of Williams goofing off during shoots and photographs from his childhood and adult life to illustrate who he really was. Serious interviews with the likes of Steve Martin and Billy Crystal demonstrate how well they knew Williams and understood that, while he may have been the funniest person they knew, he was also going through something deeper. As a tribute to Williams and his unparalleled knack for comedy, this documentary succeeds marvelously, and though it can’t hope to have all the answers, it presents everything in an honest, effective manner to construct a superb documentary. A Boy. A Girl. A Dream. Is That a Gun in Your Pocket? Sundance with Abe: A Boy. A Girl. A Dream.